Seiko has been making watches since 1913, and to mark their 100th anniversary they have re-introduced a limited edition version of the first Grand Seiko — the Grand Seiko 44GS from 1967. Named after the caliber 4420 which originally powered this model, it was the first model produced by Daini Seikosha (whom the company is named after). The limited edition timepiece, launched in Baselworld last week features a modern hand wound in-house caliber 9S64 movement. 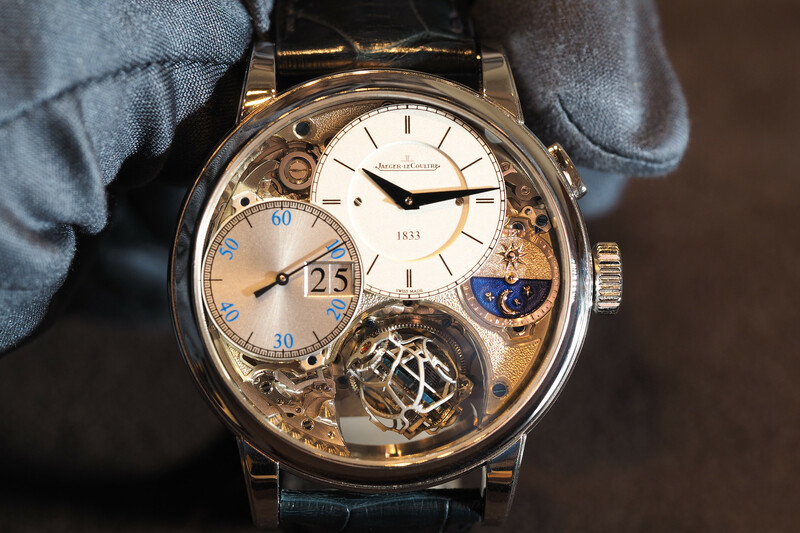 The 8-beat caliber (28,800 vph) (+5 to -3 seconds day) has 24 jewels with a 72-hour power reserve. Magnetic resistance is 4,800 A/m. Water resistance is 30 meters. True to the original, the case measures 37.9 mm in diameter by 11.8 mm thick. The box shaped acrylic seen on the original has been replaced with a much more durable sapphire crystal with the same dimensions. 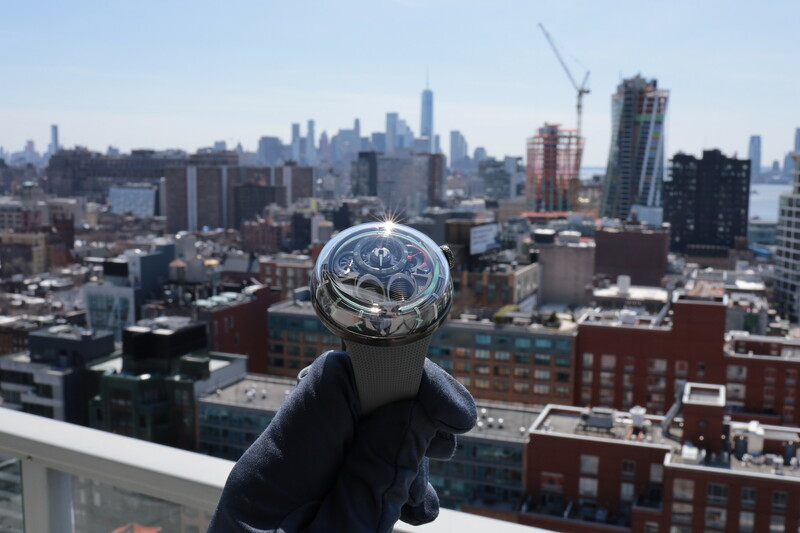 The crystal features Seiko’s proprietary anti-reflective coating on the inside. The solid case back is engraved with the Grand Seiko medallion, and for the first time ever with the name “Daini Seikosho”(it should be noted that he did not found Seiko). The case middle, side flanks and lugs are all one piece. The black crocodile strap is integrated directly with the case. The bezel and case flanks have been polished to a mirror sheen with a touch of brushing in-between the lugs. The dial is clean with big, easy to read faceted indexes, with a printed minutes track. Dauphine hour and minute and a straight second hand indicate the time. There is no date. 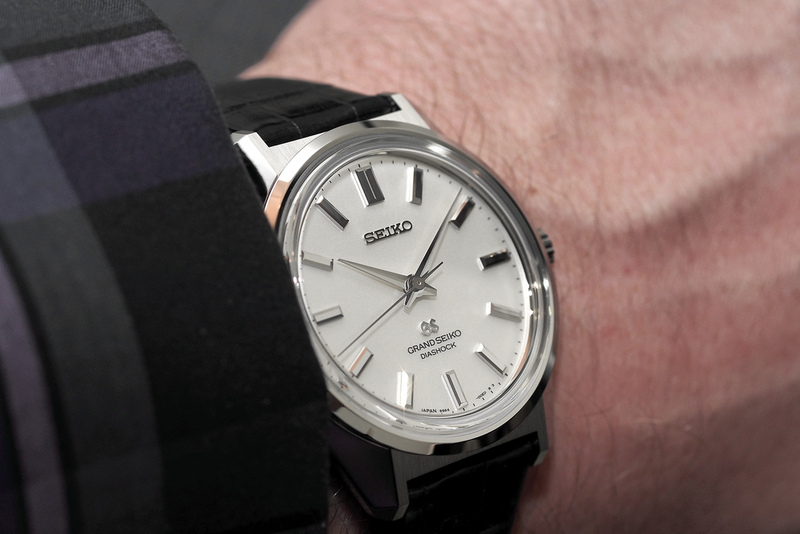 The only markings on the dial are the applied “GS” logo and the printed text “Grand Seiko Diashock.” The look is clean and all class. Availability from June 2013 in a stainless steel case, or in white, rose or yellow 18K gold. 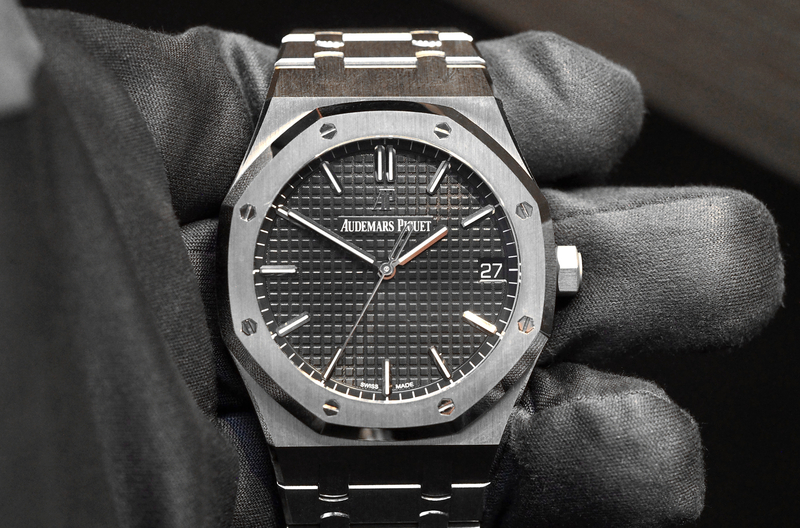 Price in steel is $6,000 (limited to 700 pieces) and in gold it is $24,000 (limited to 70 pieces each).